I’m not sure tenant is the right term because it doesn’t pay rent, but this rascal and his BIG brother has taken up residence in our back yard. I’m not generally a big fan of lizards (my friend Koreen can vouch for the fact that I refused to hang out at her house while Chuck the iguana was on the loose) but I kinda like these guys. 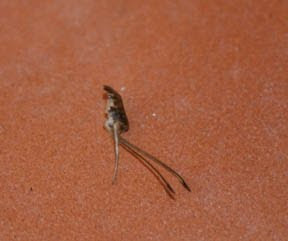 The biggest attraction is undoubtedly the volume of bugs that are consumed on our patio each night. 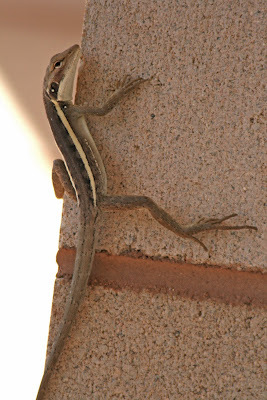 You may be wondering how I know these lizards eat bugs, well let me show you the evidence. 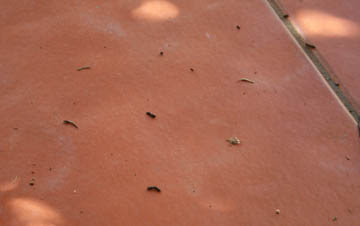 Here’s what I find scattered on a patio each morning – dozens of grasshopper legs and assorted other body parts. All of the rain this year has caused grass to grow here in the desert and a minor to medium scale grasshopper plague has resulted. The jumping little buggers come in a range of sizes and color. There are tiny little green ones barely a half inch long and the big ones I can “the tanks”, which are about a half an inch wide and about three inches long. They are a ravenous lot. My basil plants lasted less than a week once they appeared and they did serious damage to my palm tree. They are a menace to every windshield in town and have been known to cause women in skirts to shriek and do some very interesting dance moves. 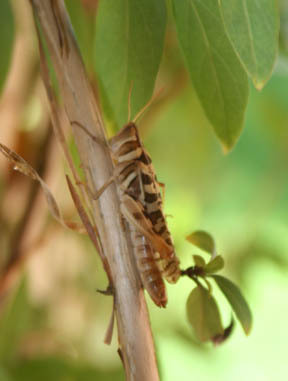 Given that, I’m friendly toward anything that thins out the grasshopper population! 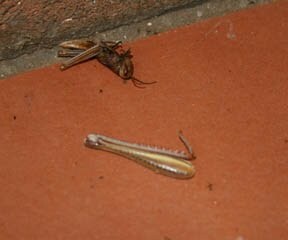 The only not so pleasant side effect of my scaly friends nightly feeding frenzy would be the grasshopper by-product. Yep - you guessed it lizard poop.